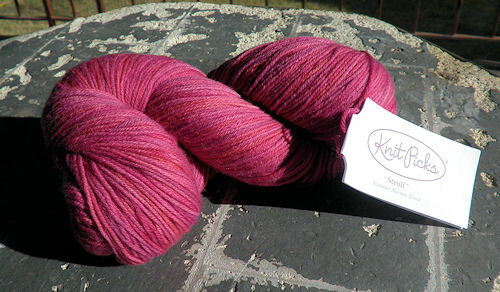 The KnitPicks Stroll Sock Yarn is available in several types, including solid, tonal, kettle dyed, multi, and hand painted. You can also get it in roving, bare, and dye blanks so you can spin and/or dye your own yarn. The tonal colorway I received has subtle color variations in seven shades to allow for stitch definition and interest. Now to find the perfect crocheted sock pattern to show them off!